Set on a working farm surrounded by vineyards in the renowned wine region just outside of Stellenbosch, this hotel offers a haven of peace and tranquillity for a relaxing holiday retreat. Visitors can enjoy an enchanting winemaking tour and tasting with the cellar master, take a stroll through the vineyard or surrounding countryside, play a game of boules, or simply sunbathe by the sparkling outdoor infinity pool. The hotel features a comfortable, modern décor with regional influences, and the attractive guest rooms are furnished with sleek hardwood floors and a delightful, garden-facing terrace in addition to en suite bathrooms with underfloor heating and a tea and coffee tray. Guests might choose to dine in the onsite restaurant or make use of the barbeque area, and can wake up to a full English or continental breakfast in the morning, all for a marvellous weekend away. Just 20 km from the coast and within 300 m of a nature reserve, this hotel provides a comfortable accommodation with a personal touch. The owners are happy to assist with recommendations about trips to the most beautiful and exciting locations in the area. Guests can start an exciting day of exploring South Africa with a delicious continental breakfast or with a dip in one of the pools. The sun lounges offer breath-taking mountain views. This complex provides excellent accommodation combined with environmental and social responsibility. The pools are heated using a solar power system, and natural compost is used in the organic vegetable and herb garden. This exclusive luxury accommodation in the Cape Winelands of South Africa is nestled under ancient Oak Trees, surrounded by spectacular vistas of craggy mountains and rolling vineyards. The Stellenbosch University is situated at only 2 minutes' walk away. Guests can take a leisurely 4 minute walk to the centre of Town with its many fine restaurants, art galleries, museums and historical buildings. Guests can take a leisurely stroll through the Botanical Garden, or walk the scenic mountain paths behind the nearby Sporting Complex of the University. The complex has been built in a grand country house style and boasts spacious rooms, each individually decorated with antique furnishings. It also offers gracious living and old world charm combined with every modern convenience. Delicious breakfasts are served on a large covered patio. 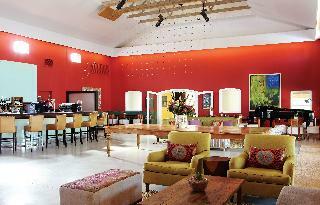 This hotel is situated in Stellenbosch, just 3 km away from the centre. 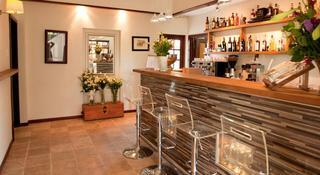 The hotel is located just a 20 minutes' walking distance from Stellenbosch Train Station. Strand Beach is located 20 km from the hotel. Guests will find themselves just a 15 minutes' walking distance from the Stellenbosch Toy Museum and Coetzenburg Stadium. This historical hotel beautifully combines classic decor with modern conveniences. The guest rooms are beautifully designed, offering comfort and convenience in an elegant setting. Guests are invited to avail of the many facilities and services that the hotel has to offer. If homelyness, exquisite location, professional and sincere South African hospitality is what you are looking for in a property – Cultivar Guest Lodge in Stellenbosch offers all this in one package wrapped with the added feel of luxury and elegance.Nestled between the beautiful Stellenbosch mountains and luscious vineyards, perfectly located and less than 7 km from the town centre, lies the majestic Cultivar Guest Lodge & Multi-Venue. This 12 000 square meter property with its naturally welcoming feel, endless green lawn areas, exhumes a feeling of utter relaxation and astonishment experienced by all visitors to the property. The unique building style and design of the main house, outside wings and balcony is in perfect harmony with the surrounding backdrop of greenery and mountains around. 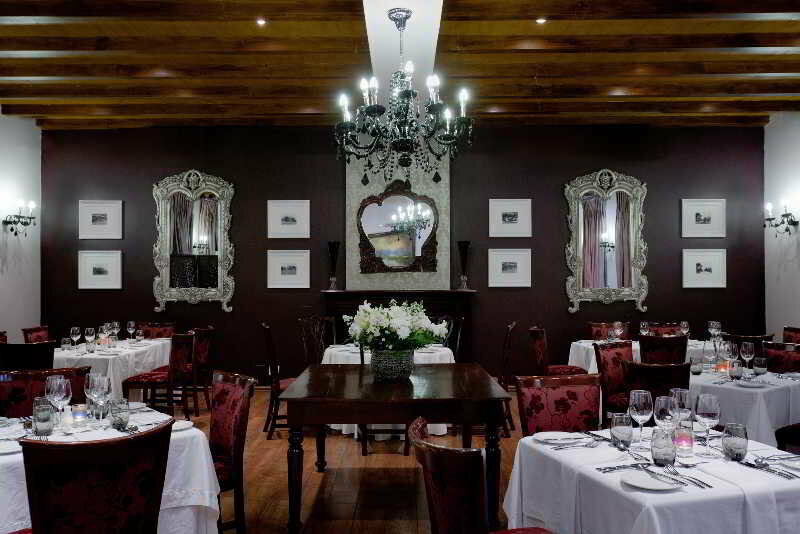 This award-winning 3 star village hotel with the ambiance of a Stellenbosch house is situated in the historic centre of Stellenbosch. Eendracht is within easy walking distance to all the main attractions, more than 60 restaurants, antique shops, museums, art galleries and the University. We offer 12 luxurious rooms all en-suite with 100% cotton linen, down duvets, writing bureaus and all the usual luxuries. Also available is Free Hi speed Wi-Fi Internet throughout the property.Eendracht strives to restrict its – and our guests' – carbon footprint. All Eendracht's lights have aesthetically pleasing energy saver bulbs and solar water geysers. Make Eendracht your base from where to explore Cape Town, the Cape Winelands, the Whale Route and the beautiful West Coast with its magnificent displays of wild flowers. All are within easy driving distance. 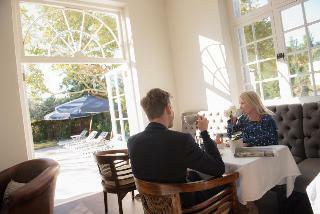 River Manor is a boutique hotel located in the very heart of historic Stellenbosch. Our unbeatable location is within easy walking distance from everything that the historic oak-lined town has to offer. Housed in two adjacent manor houses and set in a landscaped garden on the banks of the Eerste River, we offer discerning travellers an unforgettable experience in a gloriously romantic environment.Luxuriously- appointed rooms are spacious and contemporary with a classic undertone. 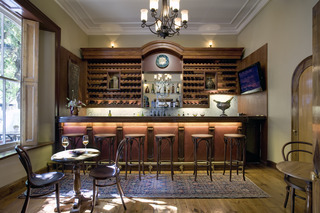 Situated 30 min from Cape Town International Airport and 55 min from Cape Town's city centre, the Hotel is ideally positioned to explore the famous wine estates of the Western Cape, while quality craft and antique shops, art galleries, museums and restaurants are conveniently located just minutes away.Set in the heart of a 162-hectare wine estate 300 years ago, the hotel has 53 luxurious bedrooms. Classic décor and genuine antiques perfectly complement the authentic Cape Dutch architecture.All rooms are individually decorated and feature private patios overlooking the vineyards and sculpted gardens.Guests are offered the use of 3 outdoor pools, nearby golfing, hiking and mountain biking, cellar tours, wine tasting, plus the chance to purchase wine directly from the Lanzerac Estate. The Spa offers an array of treatments plus a heated in-door swimming pool. 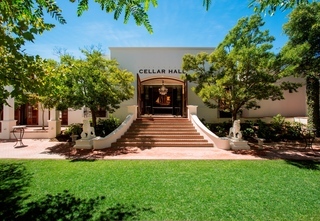 This luxury hotel is located in Paradyskloof residential area, a short distance from the historic town of Stellenbosch. Local shops and cafes are close by in the city centre, and the golf course is just 3 Km away. 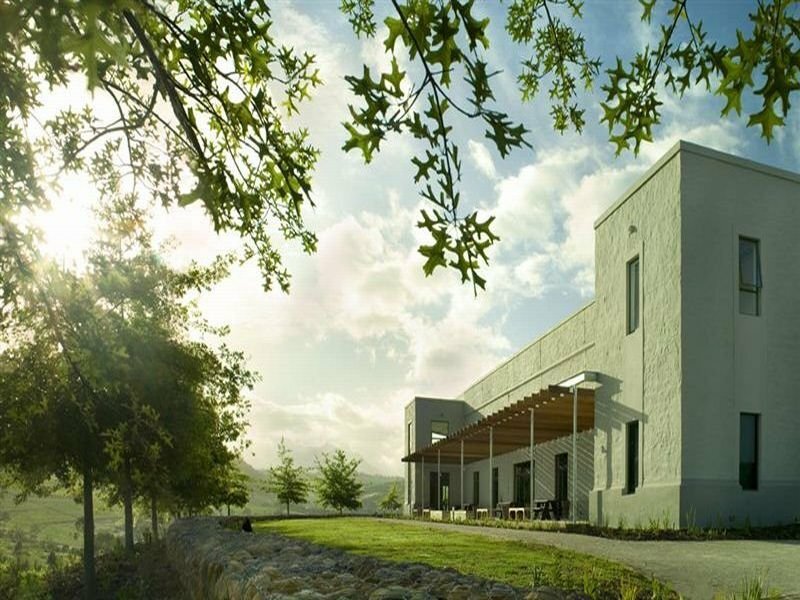 The area boasts numerous vineyards and award winning restaurants. Hotel facilities include free parking, free Wi-Fi, an outdoor semi-private pool, an indoor heated pool, garden, terrace, solarium and a spa with a hydrotherapy pool, Jacuzzi, steam room and sauna. Business travellers have access to a centre with fax and copying services. A boardroom can be hired at a cost. The restaurant offers local specialties some of which are made with home-grown ingredients. Beautiful modern rooms have a variety of settings with a choice of garden, pool or mountain views. Each room comes with air-conditioning, satellite television, electronic safe, mini bar, Lavazza coffee machine & balcony. This property is steeped in history and is elegantly set amongst private gardens, cobbled walkways and beautiful oak trees. Facilities on offer to guests include a lobby area with a 24-hour reception and check-out service, a hotel safe, currency exchange service and a hairdressing salon. There is a games room, a pub and an unsupervised kids' room available. Guests have conference facilities and WLAN Internet access (charges apply) at their disposal and there are 2 dedicated workstations available for their use. They can also take advantage of the dry cleaning and laundry services.